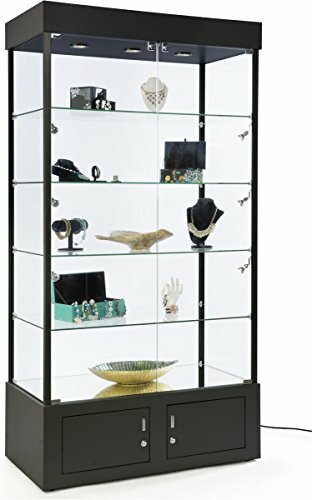 This aluminum full-vision cabinet has base storage for overflow merchandise and four glass shelves. Each of these showcases boasts 9 LED lights with three on the ceiling and six on the side. A mirrored bottom reflects the light across merchandise for sale. This cabinetry ships full assembled for customer convenience. View More In Retail Displays & Racks.